Located in a charming two-story brick house, built in 1943, The Gite Gallery has been described as one of the most elegant galleries in the United States. Owner and curator, Lloyd Gite, takes great pride in the fact that the gallery is decorated to look more like a home than a typical “white walled” gallery. Lloyd Gite’s love of African art can be traced back to his childhood, where he always had an intuitive fascination with the continent. Lloyd’s former career in television journalism led him to travel extensively throughout Africa, Asia, Europe, the Middle East and the Caribbean. Having been to Africa over 35 times, Lloyd recalls how he became the prominent African art dealer that he is today, “I made my first trip in 1976 and immediately fell in love with Africa and was particularly fond of its art. Later, while working as a TV reporter, I began to make regular trips and soon began collecting and selling art out of my home. This passion for African art eventually evolved into The Gite Gallery,” he says. 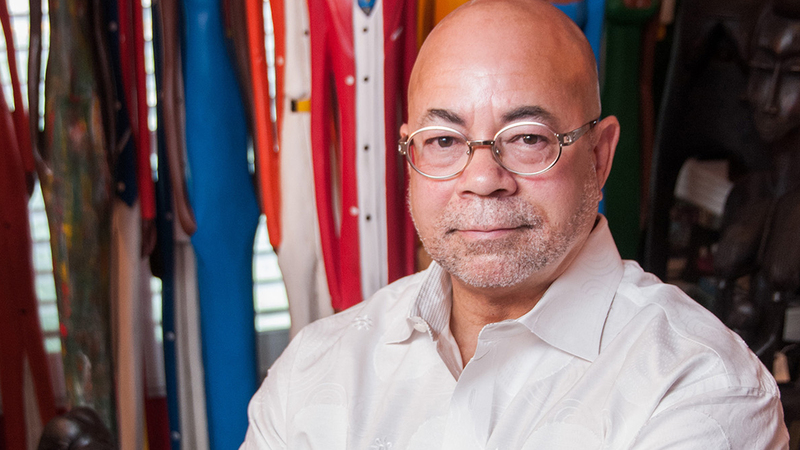 With his keen eye for traditional and contemporary African art, Lloyd also specializes in interior design, custom framing, art integration and consulting. “If you look at any home interior magazine you will often see African art fused with other kinds of decor. A few pieces of African art in your home or office can really change the energy of a room. African art really makes a bold statement,” says Lloyd. With an impressive and high-end clientele, The Gite Gallery’s customers include professional athletes such as NFL players Andre Johnson, Vince Young and Mario Williams and NBA stars Avery Johnson, Grant Hill and T.J. Ford. It is also a favorite place of well known celebrities Loretta Divine, Danny Glover, Harry Belafonte and Houston’s own Tina and Beyonce Knowles. Loved by seasoned art collectors and novices alike, The Gite Gallery will take you on an amazing African journey with its colorful and bold art. Housing one of the most comprehensive and beautiful African art collections in the country, The Gite Gallery offers a spectacular array of art that will enliven any space.